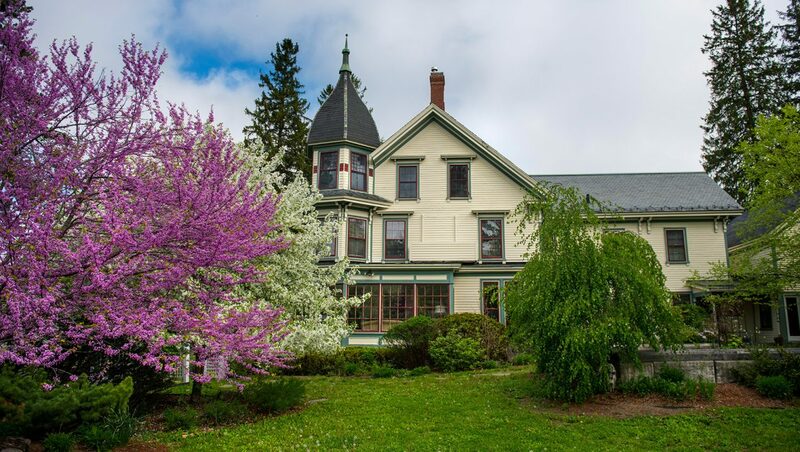 The President’s House is an elegant, restored, Victorian-era structure constructed in 1873. Historic photographs show the early care given to the house’s landscaping, which included a number of newly planted trees. The mature trees that now abound on the house’s front lawn comprise native species, such as American beech as well as non-native species such as Austrian pine. This interesting mix of indigenous and introduced species is true of the campus as a whole. Also notice the mini grove of Norway spruce on the back lawn, planted in 2010 near the intersection of Munson and Schoodic roads — an example of the continual management of campus landscaping.